Delvalle offers a range of air conditioning Atex, AIRATEX, certification Atex & IECEx. 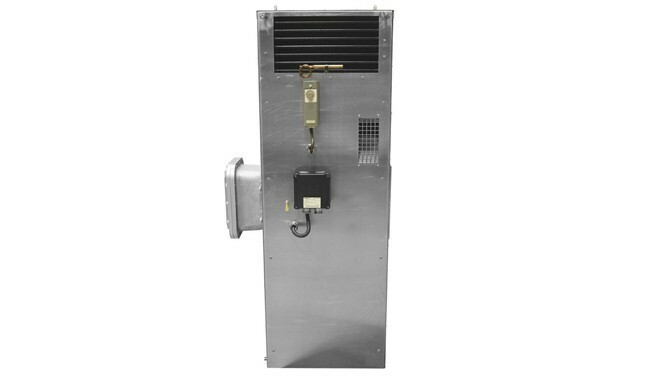 Air conditioning Atex has Explosion-Proof Electrical Equipment for use in Hazardous (classified) Locations Zone 1 & 2 and designed for purged and non-purged enclosure systems, also Class I, Division 2, Groups B, C, and D for hazardous location applications. Includes process control systems for chemical, petrochemical, refining, field and offshore drilling operations. Delvalle hazardous location air conditioners are specifically designed and factory built to insure product integrity, reliability, and safety. Our entire line of ATEX and IECEx air conditioners are third party certified by UL/ DEMKO for ATEX/IECEx Zone 1 & 2. These units are designed specifically for hazardous environments for purged and non-purged enclosure systems and housed in a 316 stainless steel cabinet as tribex or luxorex. Available in 1200W- 4,000 BTUH to 3000w 10,000 BTUH capacity. Typically, other manufacturers of Atex & IECEX enclosure cooling systems send their standard air conditioners to be converted for hazardous location applications. However, the companies that do the conversion may have to make changes that can affect the efficiency of the original unit. Often, components are substituted or added that may have an effect on the cooling capacity or useful life of the original system. Built in condensate evaporation package. Efficient, quiet and long lasting rotary compressor. UL, ETL, and CSA Certified.